Nearly half of all customers value certification, the problem is, they don’t know if their technician is certified. Dealerships not promoting employee credentials are to blame. A recent study found nearly half of all consumers value certification – yet 42% don’t know the credentials of their tech. It’s clear dealership service centers aren’t doing a good job of promoting certification. And that has to change. Advertising certification is a must, regardless of whether the endorsement is from ASE or an OEM. These are some of the key benefits associated with sharing your employee’s credentials. Nearly 50% of customers value certification. These individuals want the reassurance of a qualified professional working on their vehicle. Give them that peace of mind by announcing the credentials of your eligible techs. Advertising certification has an additional benefit: increased employee morale. Endorsing credentials lets technicians know their hard work is appreciated. It also encourages them to get further endorsements and to keep up those they already have. Reputation is everything. Advertising certification lets everyone know the employees at your location are qualified and capable. It also sends out the message your dealership hires the best. Promoting certification acknowledges the success of your employees, increases customer satisfaction and improves your reputation. 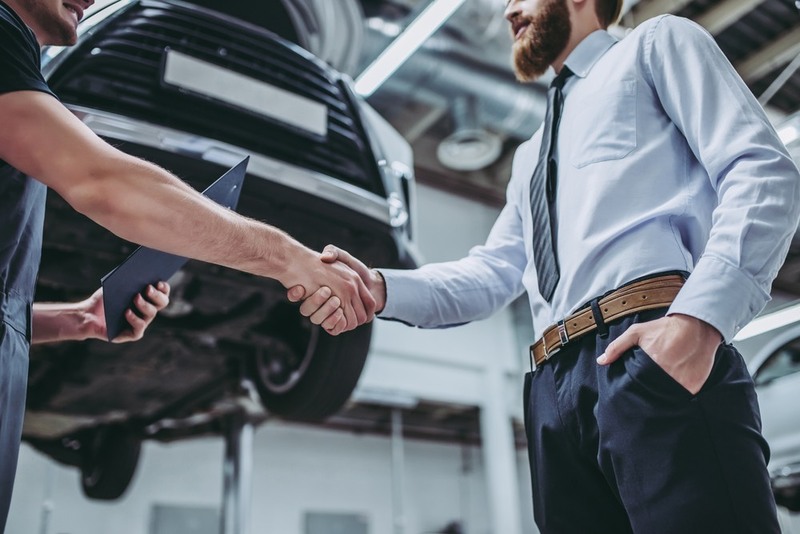 The following tactics will send the message the technicians at your dealership are bonafide experts. Ask service advisors to mention certification when closing out a ticket. It’s easy to say something along the lines of, “Today, your service was performed by Sally, an ASE certified technician”. Mentioning credentials lets the customer know their repair was performed by one of the best in the industry. It’s always good to introduce the technician to the customer, so the vehicle owner knows an actual person is working on their car, not just a nameless set of hands. Take this strategy a step further by mentioning certification when applicable. Say, for example, “This is Casey, the Toyota certified technician who will be working on your car today.” Right away, this lets the customer know an expert is working on their vehicle, which puts them at ease. A certification patch doesn’t do much good unless it’s sewn onto a uniform. Make sure to get wearable credentials stitched on by your local uniform supplier. That way, customers can easily see the technician working on their car is certified. Sometimes customers overlook the certification signs on the front of the building. You can draw more attention by hanging more banners in better places. A couple location suggests are the service drive and customer waiting area. These days, almost everyone goes online to find a local business, whether it’s a restaurant or repair shop. Advertising certification on your webpage encourages shoppers to choose you over the competition. One glance and customers immediately know their car will be in the hands of a capable, professional. Also, don’t forget to advertise certification on social media. Certification is a symbol of success, a badge of honor. So, why hide it? Flaunt the accomplishments of your employees whenever and wherever you get a chance. Everyone – from customers to upper management – will reap the rewards.